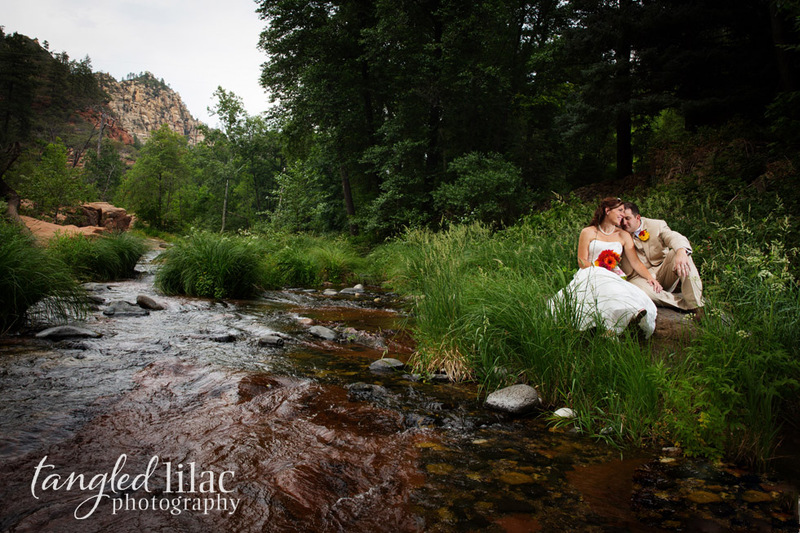 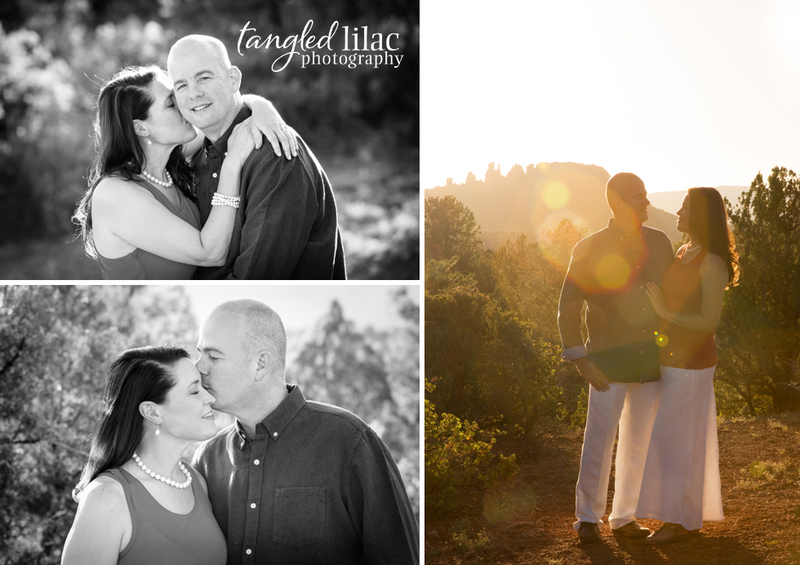 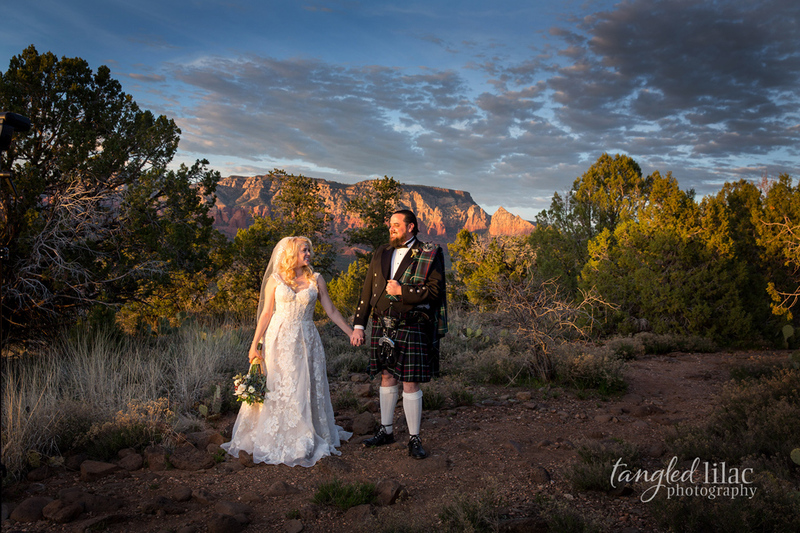 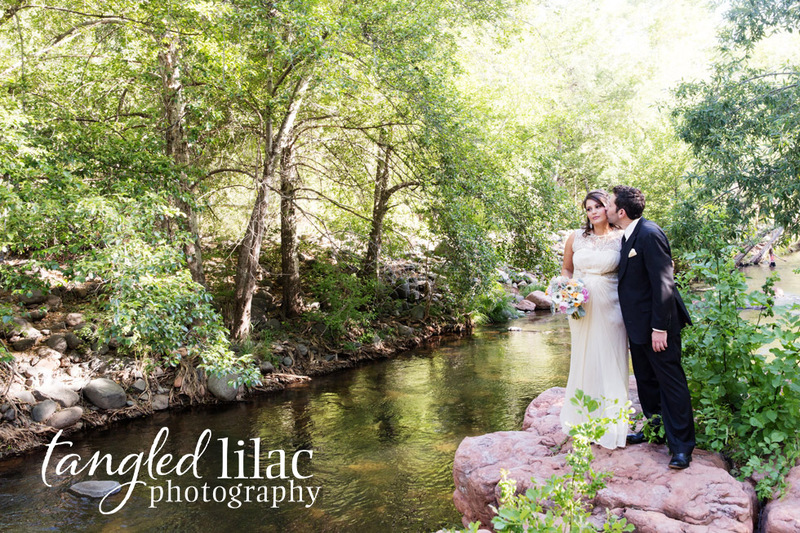 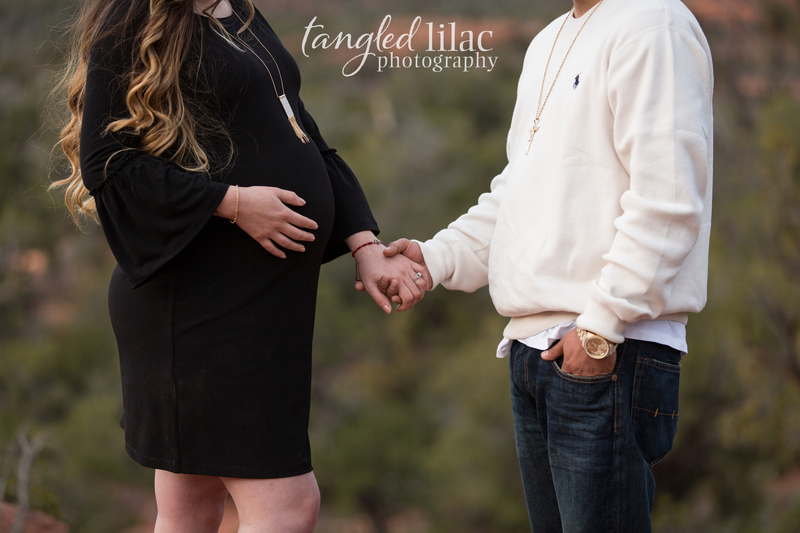 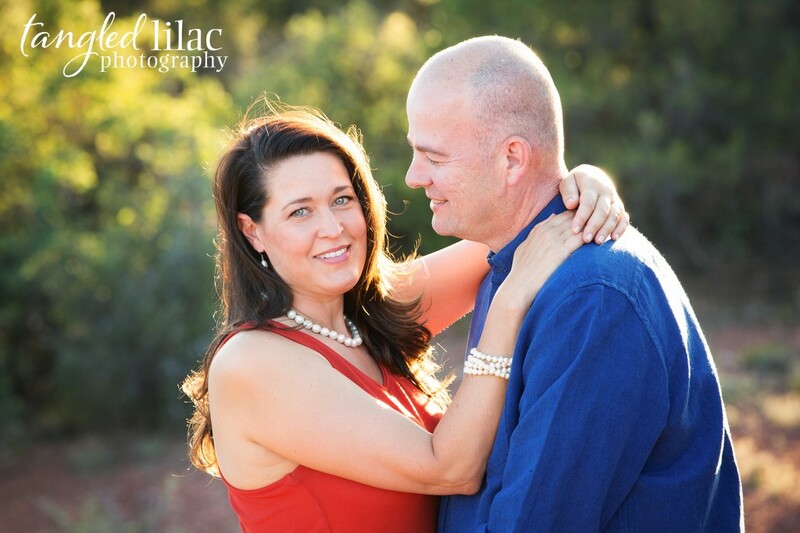 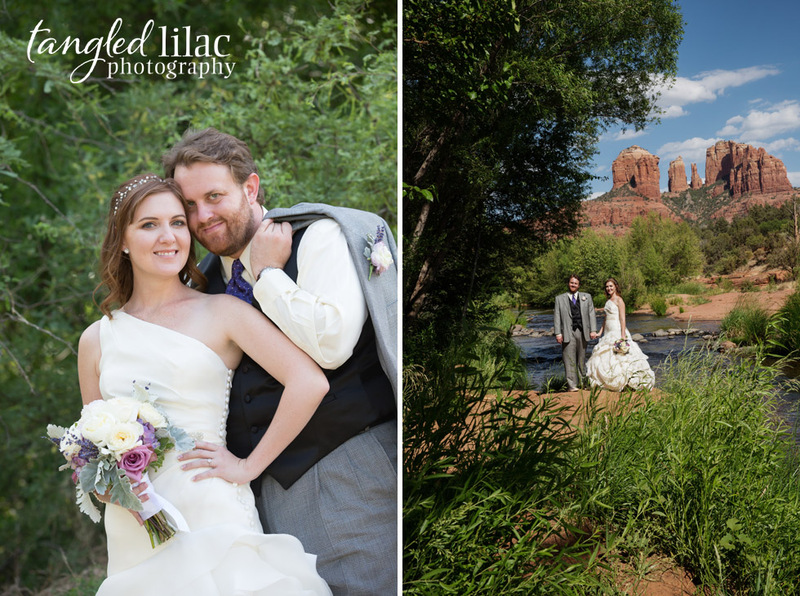 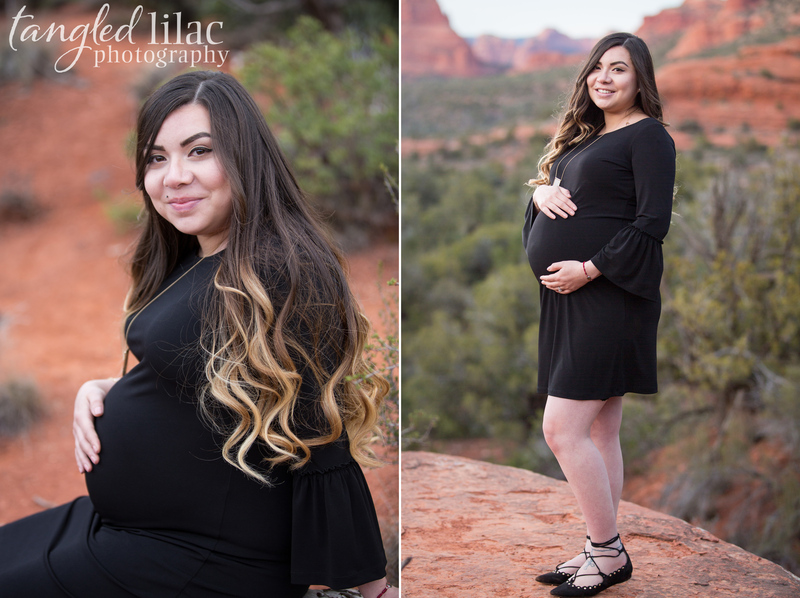 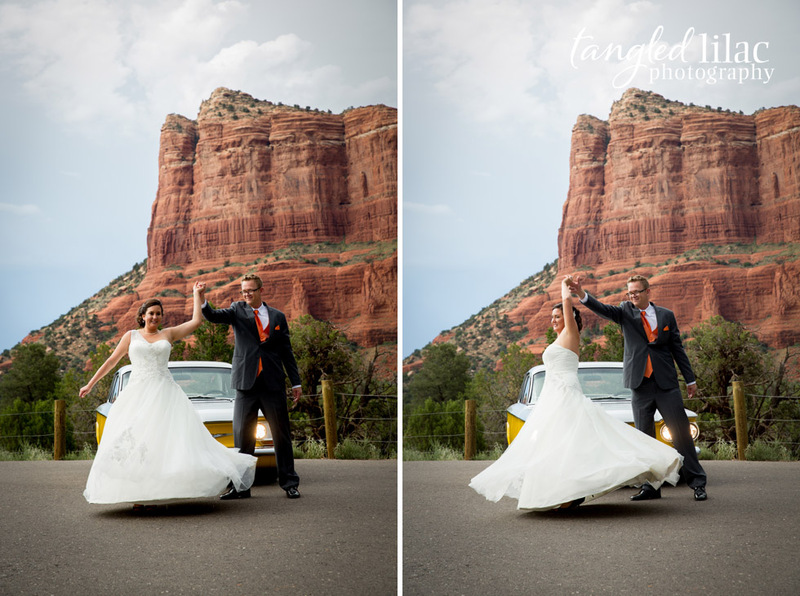 Elizabeth and Michael were married a couple weeks ago at the beautiful Sedona Rouge Resort & Spa. 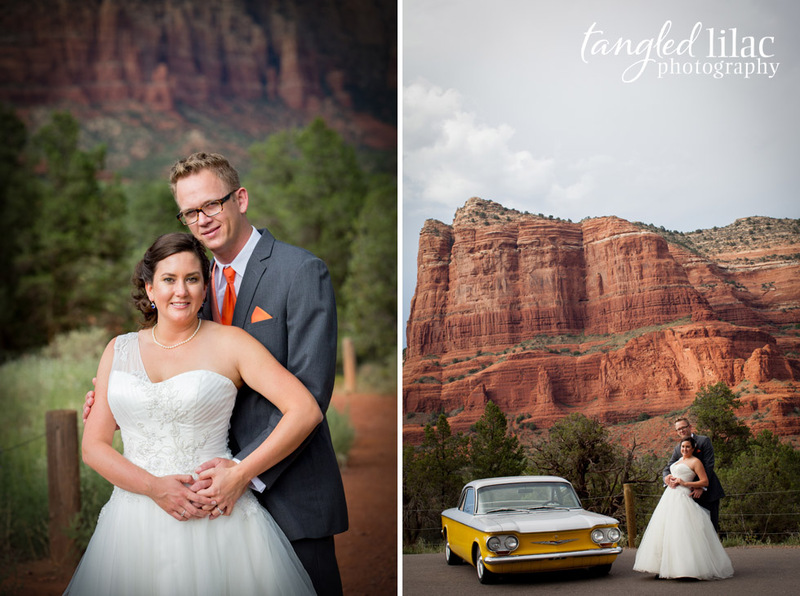 The couple, along with their coordinator Liz Moler, made the day absolutely spectacular. 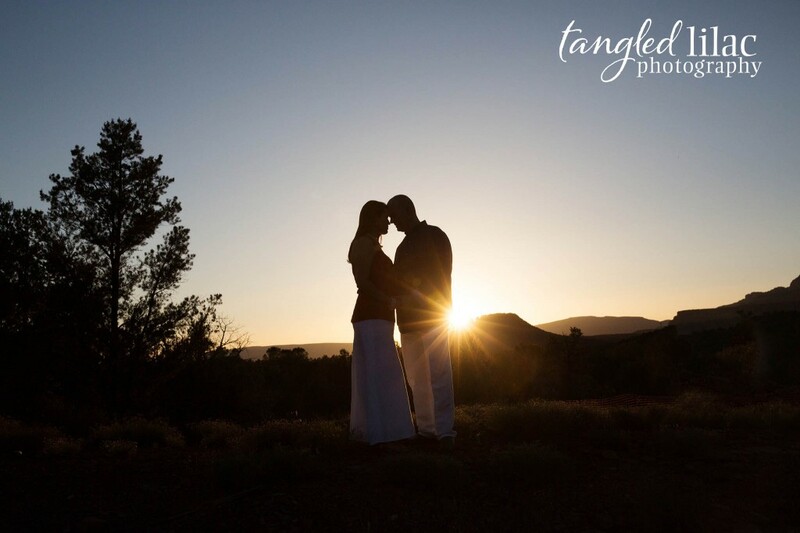 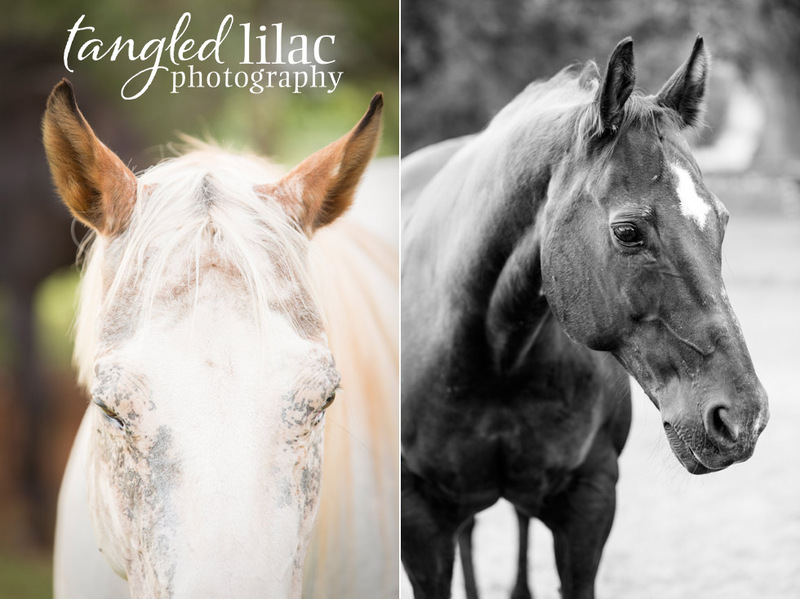 We started with their first look and couple photos at Crescent Moon Ranch. 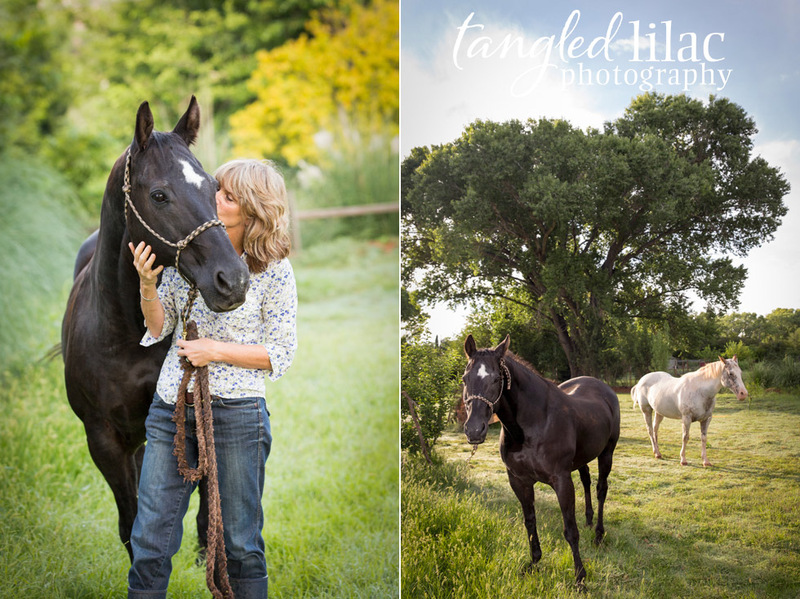 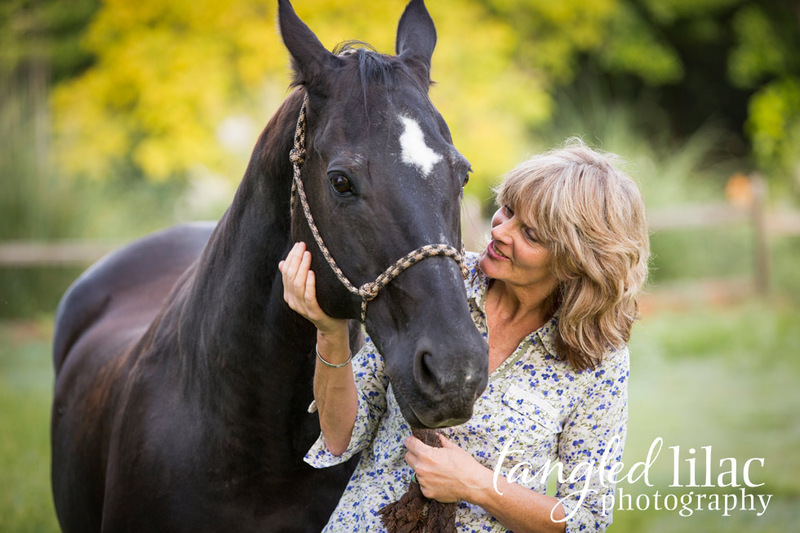 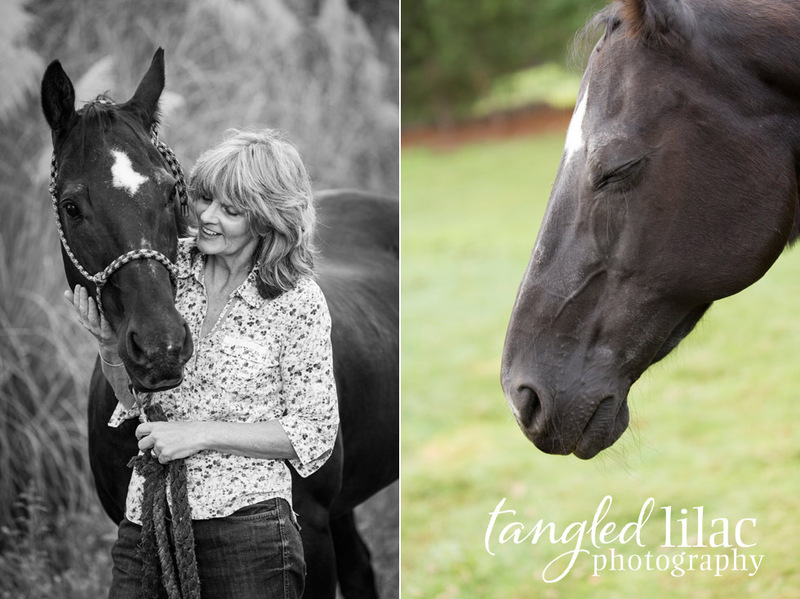 Crescent Moon Ranch gives you the best of both worlds, the scenic red rocks and the gorgeous green trees and creek. 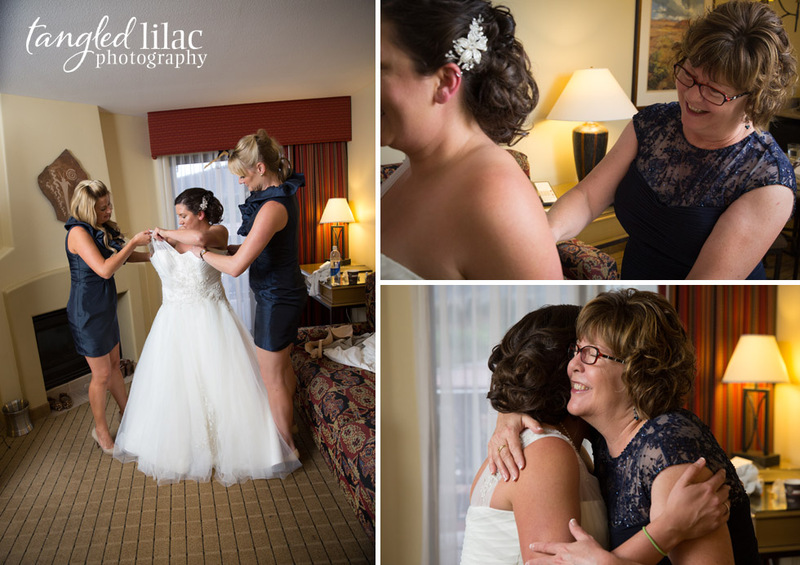 Elizabeth was a absolutely stunning bride, her hair and makeup was done by the fabulous Janell from Tirzah Salon. 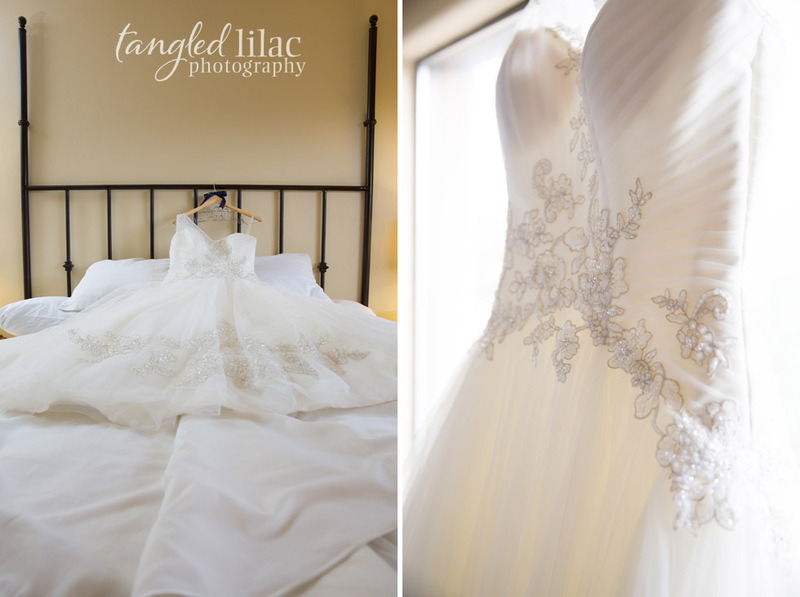 Her gorgeous dress was accented perfectly by an amazing ivory and purple bouquet from Amy at Bliss Extraordinary Floral. 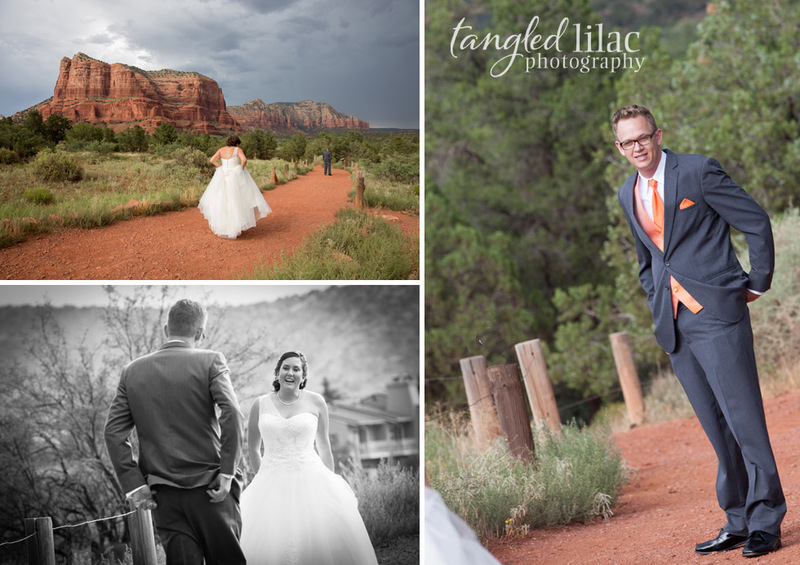 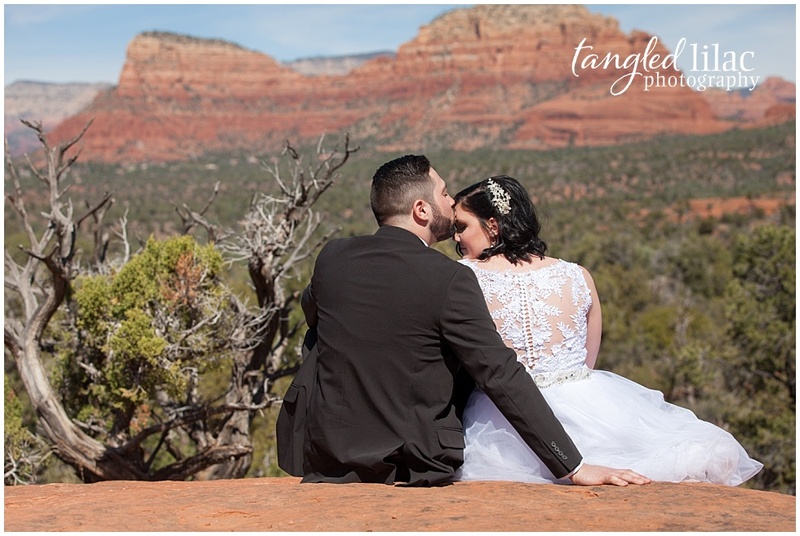 After we finished the couples first look and photos we headed back to Sedona Rouge for their ceremony and reception. 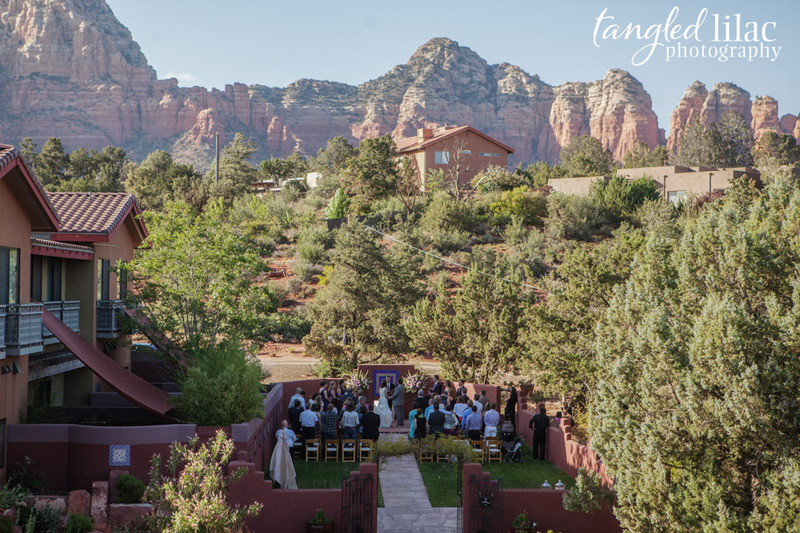 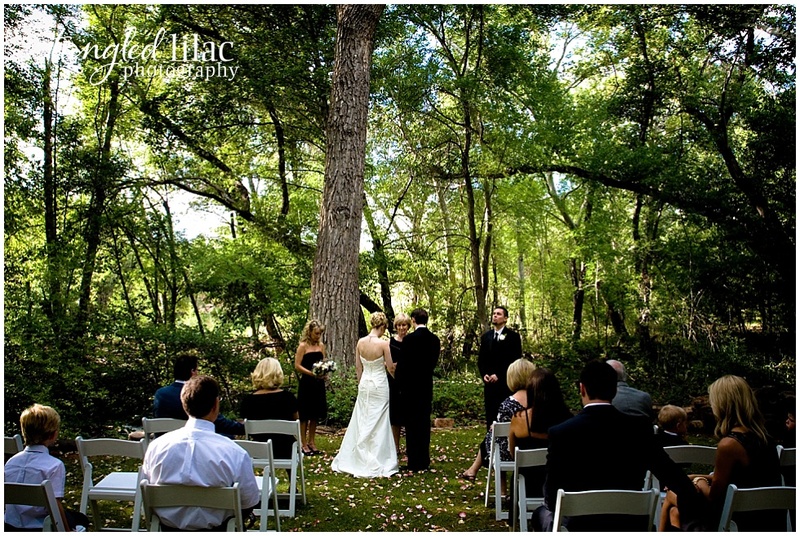 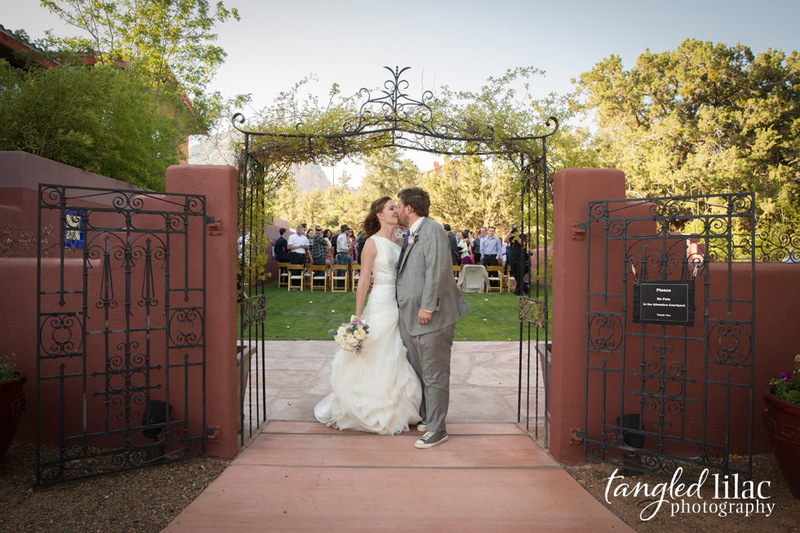 The ceremony was held at the beautiful outdoor courtyard on the Sedona Rouge property. 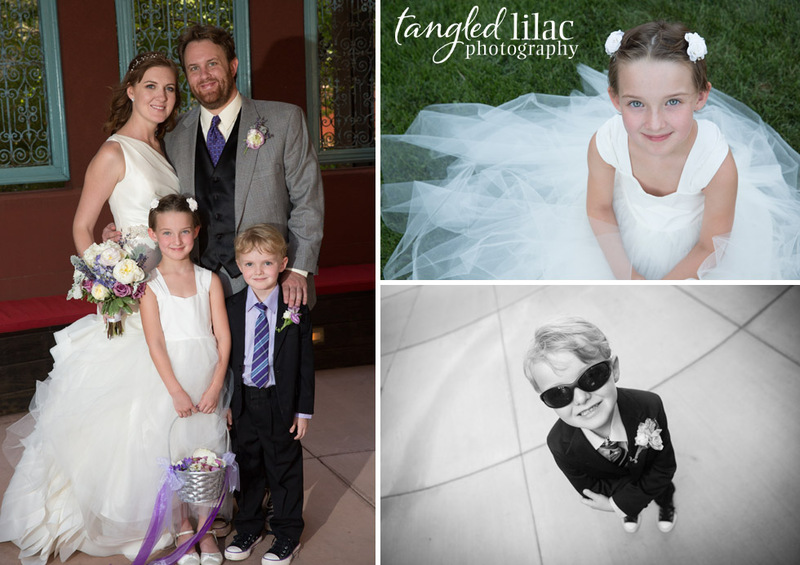 Elizabeth’s adorable children, Faith & Noah participating in the wedding as the flower girl and ring bearer. 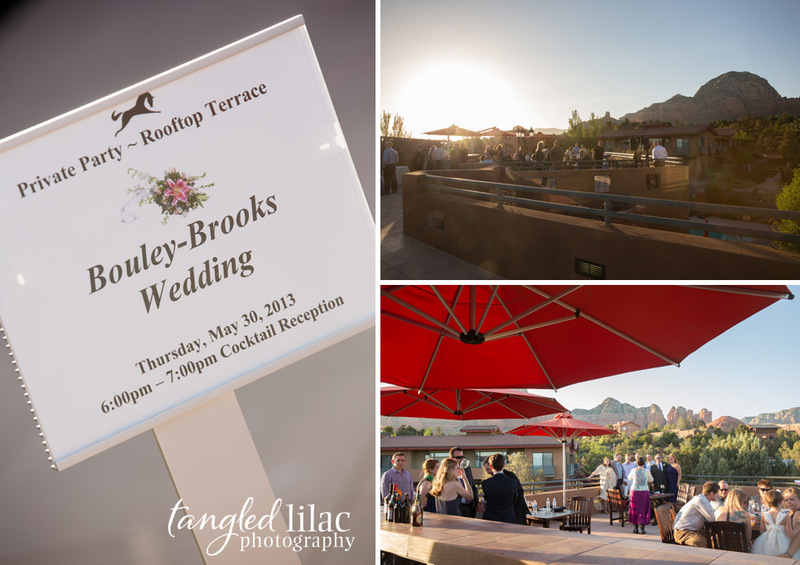 After the sweet ceremony guest went to the scenic rooftop terrace for cocktail hour and the couple took time to dine alone before the reception. 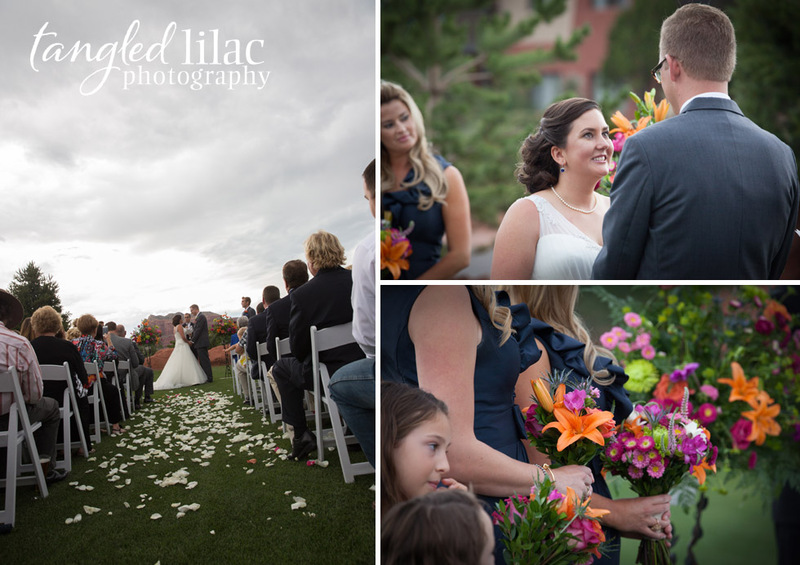 At the reception guest enjoyed an amazing dinner catered by Reds, dancing and playing board games. 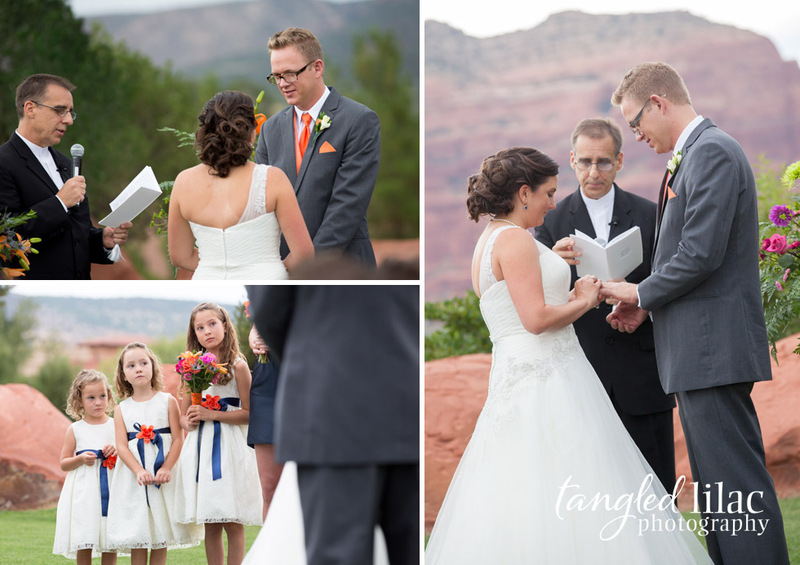 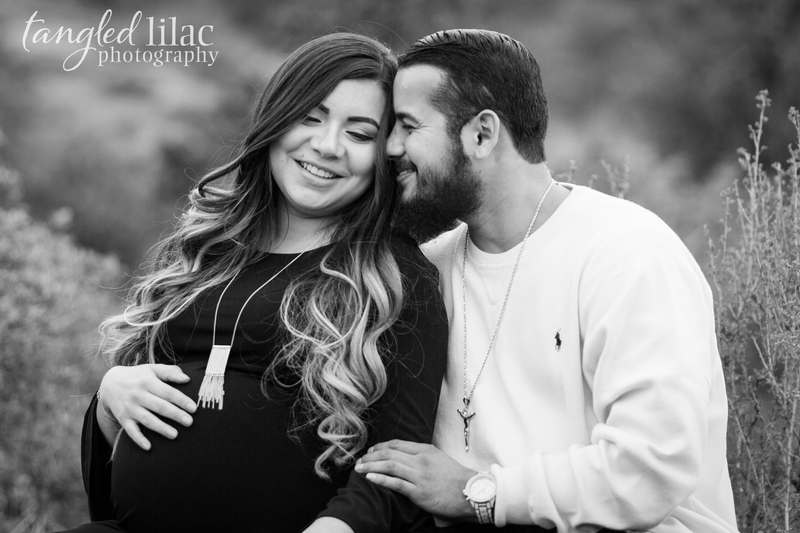 Do you both have any special traditions that have been incorporated through your marriage? 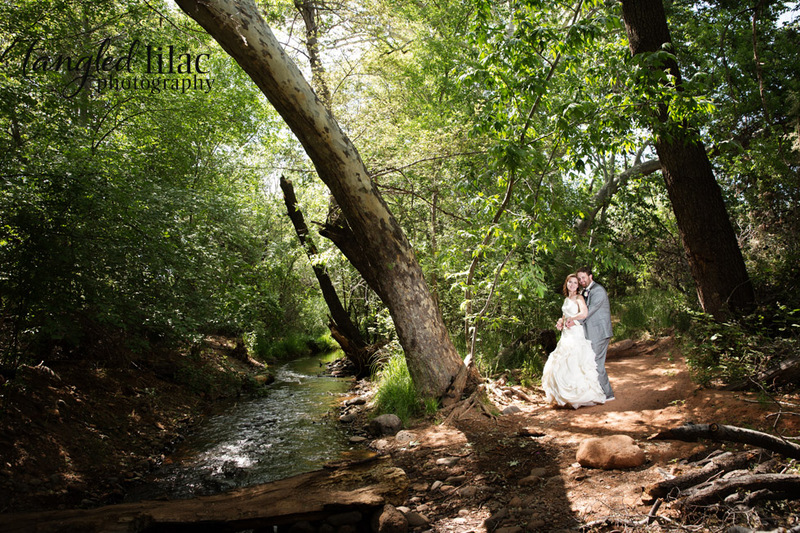 What is or are your favorite place(s) to go together?